Conference Lectern has (2) Hidden Wheels! 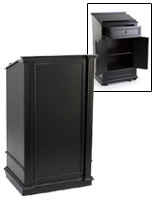 Hundreds of Podiums are In Stock and Ready to Ship! 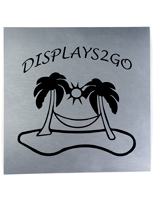 Each Conference Lectern is Priced to Sell! 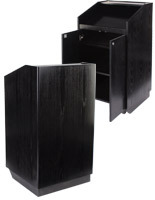 Black veneer finish is classic for any environment. 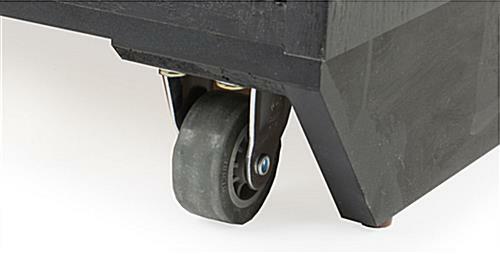 Two hidden wheels for easy mobility. Three sturdy shelves for multimedia accessories. Plywood construction is very durable, yet affordable. 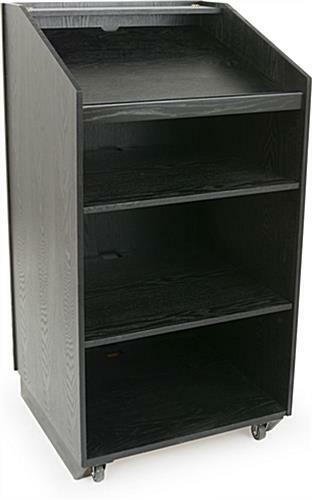 This podium is mobile due to the fact that it is a conference lectern with hidden casters. There are (2) wheels so users can move this pulpit around as needed. This church pulpit is a conference lectern that is for professional use with the (3) shelves to store multimedia equipment. These podium stands have many great without the huge price tag. 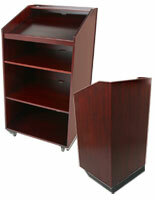 Each lecture podium is a conference lectern that is affordable. 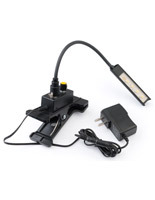 These stands ship to consumers fully assembled to save them time and frustration. Simply unpack the podium and they are ready to use. The desktop area of this conference lectern also has a book ledge to prevent items from falling. Customers can use the top for a laptop, notes, books, and more. 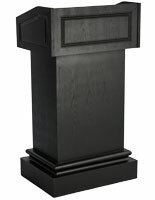 This conference lectern is a modern podium choice for any setting. These lecture stands are ideal for use at seminars, in board rooms, churches, schools, and much more. 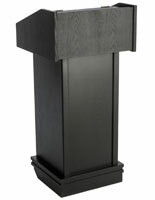 Each conference lectern, called a speaker podium, can also be used as a hostess station in a hotel or restaurant. 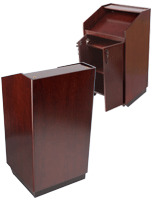 These professional pulpits feature a slanted reading surface. 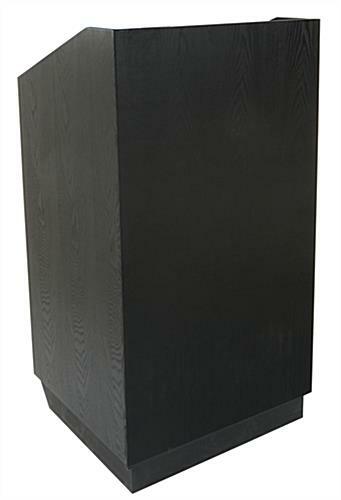 This presentation podium is a conference lectern that is made of plywood. Plywood is strong for long term use. This conference lectern is built to last years of use. 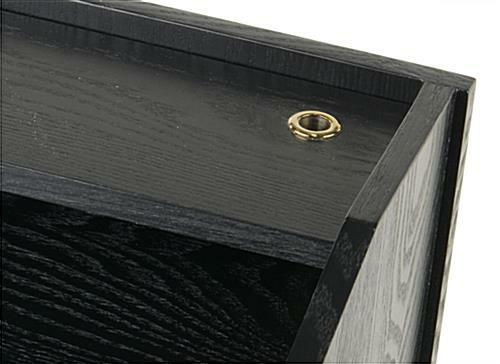 Each seminar stand has a black veneer finish with a natural wood grain pattern to seamlessly coordinate with any setting.